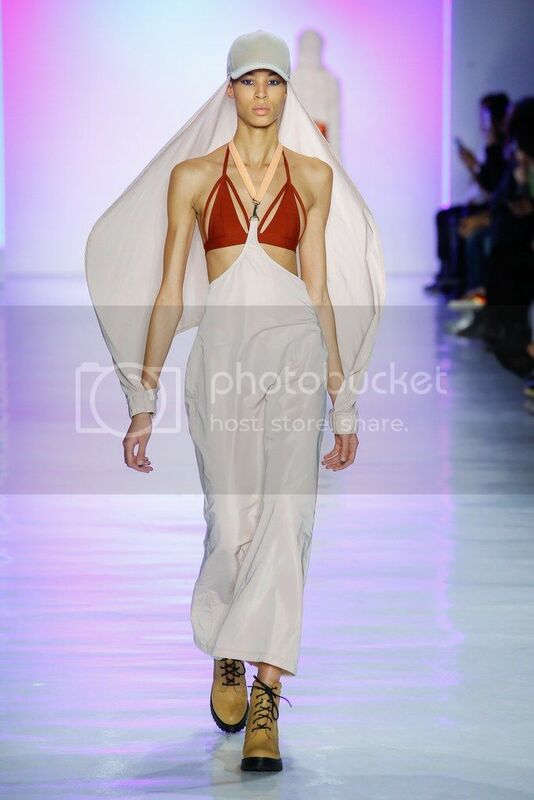 political administration.According to Becca McCharen Tran, the theme for her fall collection Buoyancy was inspired by the election and the sate of survival mode in the country. 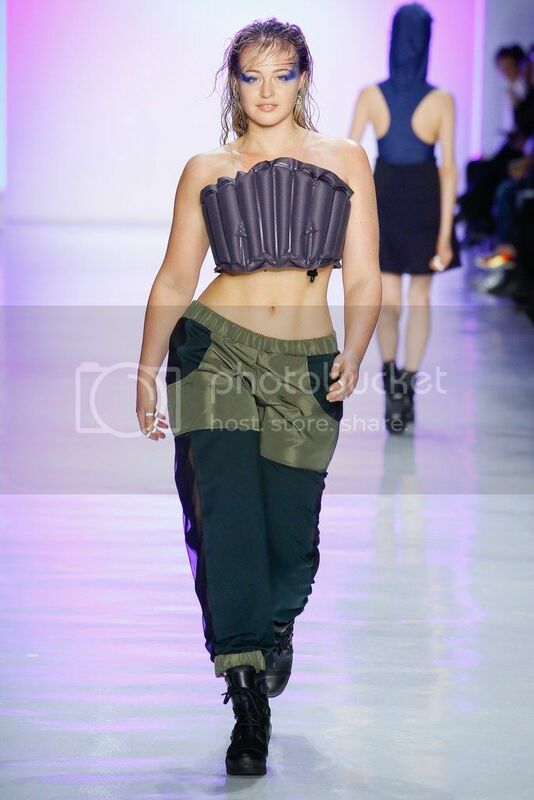 She incorporated "survival mode" by the use of life jackets and inflatable rafts in her collection. McCharen Tran states that she wanted to make clothes to help wearer feel lifted and elevated, like they could survive in rough, open waters. Uniiqu3's opening performance of her song Werk Ya Bawdy, had the crowd jamming and ethusiastic for the show to begin. In an industry were diversity and inclusiveness is often questioned due to brands selection of size zero models and often in time the token black girls. 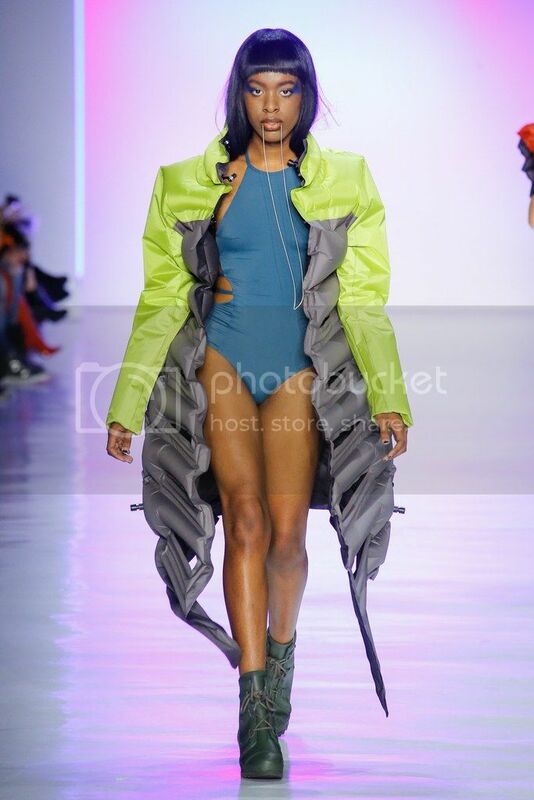 Chromat set the tone for their runway embodying the inclusiveness of beauty and positive body image. 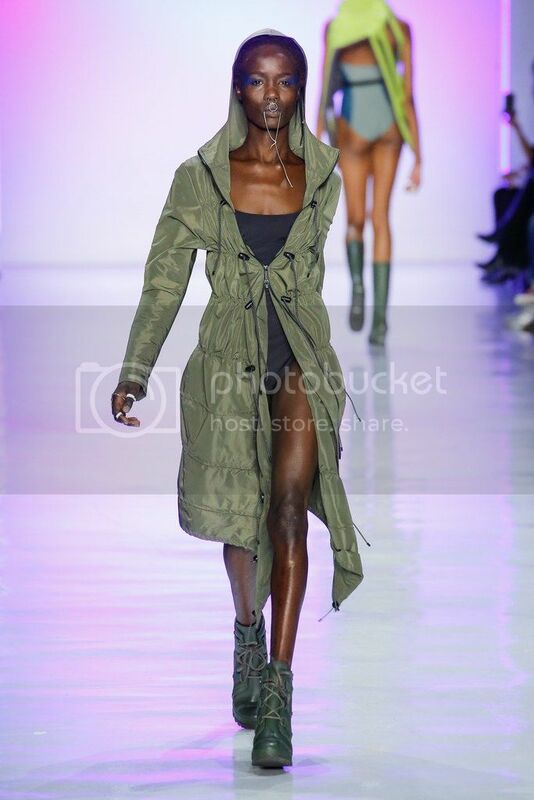 Models strut down the runway with a positive message to love your body. 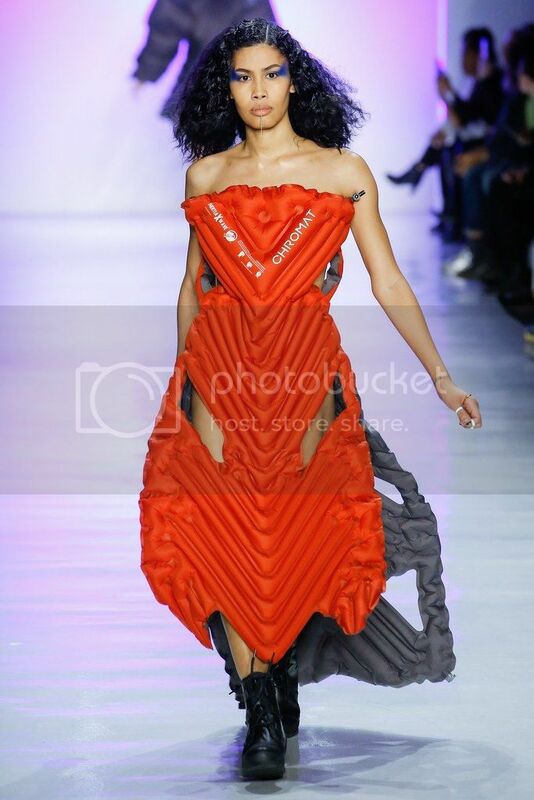 Seeing Models in all shapes and sizes representing a brand with such unique aeistheitcs Like Chromat was definitely the highlight of the day.